What a bewildering couple of days it’s been. Resignation followed resignation and Gordon Brown’s cabinet went from the ‘meltdown’ Nick Clegg described at Prime Minister’s Question Time to total and utter collapse as John Hutton (Defence Secretary) , James Purnell (work and pensions secretary), Geoff Hoon (Transport Secretary), Caroline Flint (Europe Minister), Paul Murphy (Welsh Secretary), Tony McNulty(Minister for Employment/London) and Margaret Beckett (Minister for Housing) followed Hazel Blears and Jacqui Smith in resigning from the government. In her resignation letter she launched a stinging attack on Mr Brown accusing him of running a “two tier cabinet”. She said Mr Brown had “strained every sinew” of her loyalty to the government. 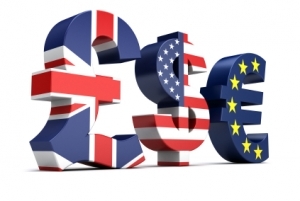 Worryingly, the financial stability of the country has been severely damaged as the pound has fallen against the dollar and euro, hit by uncertainty over the UK’s political situation. With all this in mind, it is a shame we have to end on the news that the BBC’s Political Editor Nick Robinson said if ministers had followed James Purnell in calling for Mr Brown to quit “we would today have had a new prime minister”. And quite probably a new government. I’ve voted Liberal Democrat – have you voted yet?